Glendalynn Dixon, "Your voice is your currency. Spend it wisely"
There it is in a nutshell. It has been years since I had a 1:1 ‘meeting’ with my reports. Nothing that I’m going to share with you is particularly ground breaking – maybe not even original – yet time and again people seem surprised both by how I interact in 1:1s and how much more effective they are than traditional meetings. Don’t hold a meeting, have a conversation. Avoid wasting a 1:1 reviewing status updates or the to-do list. This is a great opportunity to demonstrate your support for your team members. By dedicating uninterrupted time between the two of you that is not focused on “moving the needle” (or any other over-used workplace idiom), you have the luxury of developing genuinely meaningful connections with your team. This conversational approach can be extremely uncomfortable for many managers, however don’t be fooled by the default status update format: the reason we review the to-do list is because it is so easy, and gives us the impression that something meaningful has transpired. Really, you’ve taken up precious face time reviewing information that is available in any task management program. So, if the to-do list is off limits, what do you talk about? The topic is…whatever they choose. I’d say 70% of the time, we talk about work and I get to understand if my team feels empowered by the work they do. Are they energized by a new aspect of their role? Do they feel proud of discovering a way to optimize that boring routine task? Are they feeling insecure? Frustrated? Engaged? What’s driving those emotions? This is also a wonderful moment to discuss career goals and continuous learning paths. A freely flowing conversation is a much safer space to test out thoughts without having them fully developed and wrapped with a bow. You may have noticed that you do not have a lot of input here. This time is all about your team members, not you. That is why 30% of the time we might not talk about work at all. If work is not the most pressing thing on their mind when you have given them the chance to speak, don’t squander this chance for meaningful insight by forcing the discussion into a work-related topic. You can learn so much more about how to be the best leader for your team by understanding who they are as people, not simply your reports. Interested in trying this out? Here are 3 tips to get started. 1) Go for a walk. 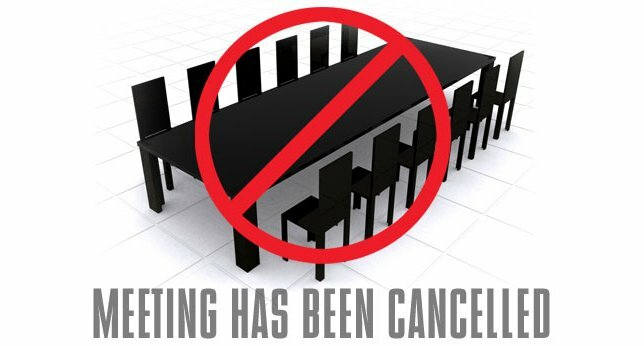 There is a lot of evidence that removing yourself from a meeting room or office results in better conversations. There are no devices to hide behind, no distractions or interruptions. In that moment, you are fully committing your time to that one team member. Stepping outside sends a positive message and allows you to shift into the right headspace if needed. You have to be at your best for them. Cannot go for a walk? Identify a location where you can have a private conversation. A nearby park, cafeteria, coffee shop, or casual seating area in your building. Ideally, do not seat yourself with a table between the two of you. That staging can drive formality and drive you from a conversation and back to a meeting. 2) Set the ground rules. You must explicitly state that this time is a safe space for discussion, and then honour that statement. Trust takes time to build, but you should be intentional about your goal for creating that time for free dialogue. Secondly, explain that you won’t be driving the discussion. Our 1:1s are scheduled and directed by my team. In the beginning that may result is some awkward conversations as you get to know each other and adapt to an employee-driven interaction. It is important for them to understand this is their time to talk about what matters most to them. At the beginning, if they start reviewing the to-do list, gently steer the conversation to their engagement with those tasks or how they feel about the progress they have made. 3) Listen. You are on the receiving end of whatever your team member has decided to tell you about themselves, be it work-related or personal. Give them your full attention. Use your best judgement of what is called for in the moment. Are you being asked to provide guidance? Is this a coaching moment? Are they looking for feedback based on your experience, or maybe they simply need to feel heard? Do not be afraid to ask them what they are looking for if you are unsure. Admittedly, my style might seem crazy to you. We are all so busy today, who has time for this approach? I’d argue that you are going to benefit just as much as your staff. Getting out for a walk clears my mind, making me more productive when I return. I gain such wonderful insight into my team in these conversations. I don’t waste any time wondering how they feel or what they think, or why something isn’t working as planned. I have the luxury of a direct line into what motivates them, their engagement level and future desires and can use this to plan career progressions, continuous learning assignments, suggest stretch goals or introduce new accountabilities; all based on genuine insight I have into your team. I call that a time-saver! One quick aside: I’ve been asked by other managers how I prevent these conversations from becoming an ‘airing of the grievances’. Once the expectations have been set, I have yet to encounter an employee who would waste an entire 1:1 on frivolous bitching. On the other hand, if your team member has something eating away at them, and spends 5 minutes of their 1:1 clearing the air, you probably helped increase their productivity for the rest of the day or week. That thought will no longer ruminate and eat away at them – you just set their emotional brain free. This is what has worked for me so far, and I’m always learning and evolving my style. Please let me know your approach to a meaningful 1:1 in the comments. I’d love to learn from your experiences. Bestselling author, finding my voice, one story at a time. "Glendalynn's fearless and candid style helps organizations break through barriers, enabling business transition and transformation through vulnerability and authenticity. She shares her leadership and diversity strategies as a technology advisor, freelance writer, and dynamic speaker."